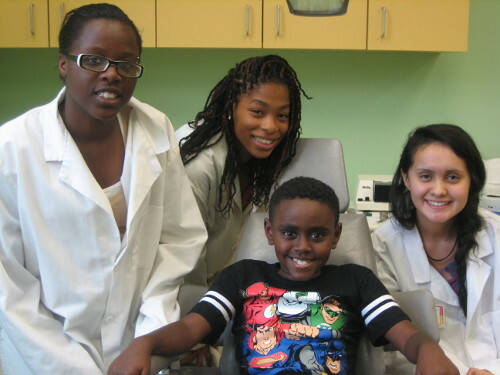 Since 1919, Children's Dental Services (CDS) is dedicated to improving the oral health of children from families with low incomes by providing accessible treatment and education to our diverse community. Children's Dental Services provides a full range of dental services to children from birth until age twenty-six, and to pregnant women of all ages. 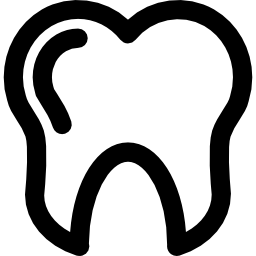 Established in 1919, Children’s Dental Services is the only community dental services agency in Minnesota dedicated exclusively to providing oral health outreach, education, and treatment to children and pregnant women across the state. Children's Dental Services makes every effort to see children with painful emergency dental problems within 24 to 48 hours. 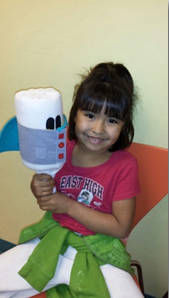 If you or your child has urgent dental needs please call us at (612) 746-1530. 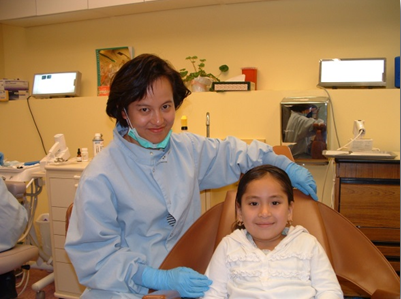 Children’s Dental Services is a 501 (c) (3) non-profit corporation employing over 100 qualified and culturally competent staff across Minnesota, including clinical care teams in the Twin Cities, Duluth, Iron Range, Moorhead and St. Cloud regions. An Executive Director manages daily operations and a volunteer board of directors provides policy governance. Board members do not receive compensation. Children's Dental Services has alternating bimonthly full board and executive committee meetings. Standing committees are the following: Finance Committee, Nominating Committee, Planning and Evaluation Committee, Personnel Committee. Children’s Dental Services (CDS) has been recognized by the Minnesota Council of Nonprofits for using technology in an effective and creative way. In February 2017 CDS received the DOT.org Award for the organization’s innovative telehealth program utilized throughout rural Minnesota. There is currently a significant lack of access to dental care in most rural Minnesota counties, but the Rural Teledentistry Network Project implemented by CDS alleviates this issue by provides access to dental care utilizing teledentistry in remote regions of the state. Care is specifically targeted to low-income children and pregnant women, and CDS has been successful in expanding the telehealth network across rural Minnesota, providing care in 16 previously underserved counties. 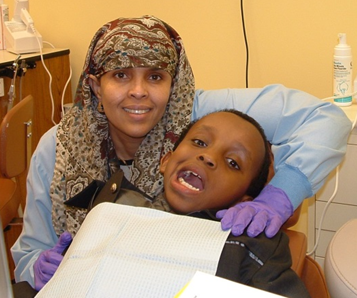 A 2015 Minneapolis Health Department Public Health Heroes Award was given to Children's Dental Services based on its significant efforts in improving access to culturally targeted dental care for low-income communities across Minneapolis. Children's Dental Services received 2014 Eide Bailly Resourcefullness Award for its implementation of cost savings measure in both clinic and administrative operations. In 2008, Children's Dental Services was awarded the Governor's Award for Excellence in Waste and Pollution Prevention which includes recognition of its energy efficient lighting, increased insulation, natural flooring, no VOC paint, rain garden, white reflective roof, solar panels, and rain barrels. To learn more, click here to see a video about Children's Dental Services produced by the Minnesota Pollution Control Agency. 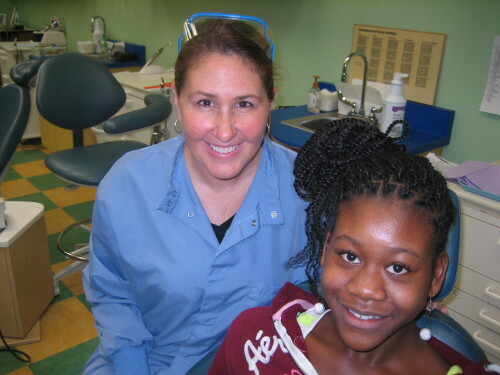 Children's Dental Services' Executive Director, Sarah Wovcha, is the 2007 recipient of the Betty Hubbard Maternal and Child Health Leadership Award. 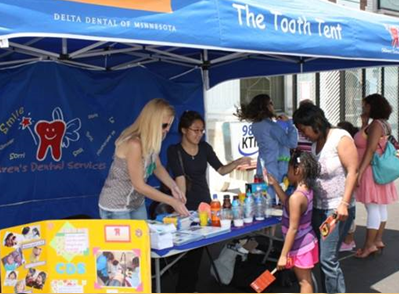 Children's Dental Services is the proud recipient of the Minnesota Council of Nonprofits Mission Innovations Award in 2006 for its highly efficient portable dental care program. Watch this YouTube Video to learn more about Children's Dental Services’ cost-effective operations. In the fall of 2016, our East Hennepin office had the previous asphalt parking lot replaced with permeable pavement to help facilitate rainwater management. This type of pavement will help to filter rainwater and prevent it from rushing directing into the nearby Mississippi River. Our permeable parking lot was made possible by grants and direction from the Mississippi Watershed Management Organization. Click HERE for more information about the new parking lot and the MWMO. On October 17th, WCCO Twin Cities channel 4 News, visited one of our two main clinics which is named after and dedicated to Dr. John Williams who widely influenced who we are. 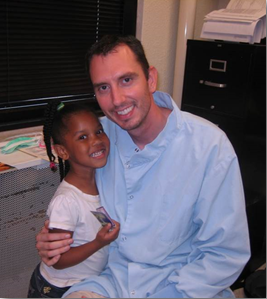 He was a former NFL football player and U of MN graduate turned Dentist from North Minneapolis. To view this story click here. Children's Dental Services IS GREEN! 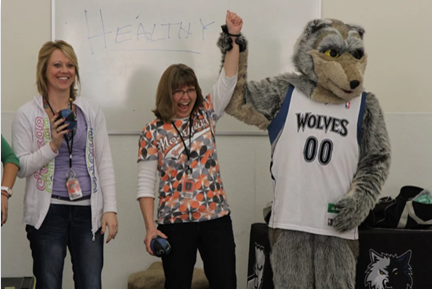 "Crunch" visited two Children's Dental Services locations in spring 2015: Southridge Elementary School in the Iron Range community of Culver, MN and Emerson Spanish Immersion School in Minneapolis. 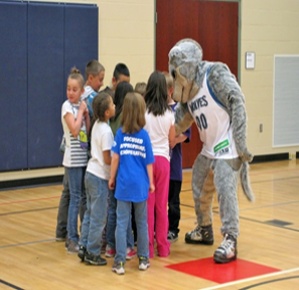 In partnership with Delta Dental of Minnesota "Crunch" teaches kids how to "crunch their bad dental habits". Click the links below to see Crunch in action. Children's Dental Services employs the first dental therapist in Minnesota, Christy Jo Fogarty, who is helping to expand restorative care to hundreds of children and pregnant women across Minnesota. In February, 2013, Fogarty became the first Advanced Dental Therapist in the lower 48 states, and was joined by a second certified Therapist, Elizabeth Branca in early 2015. 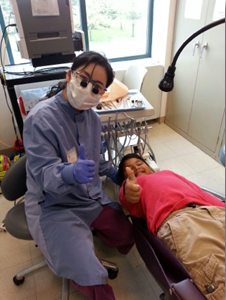 Click on the link below to see coverage of Children's Dental Services’ efforts in the Star Tribune and on Northland News. In spring of 2014 Children's Dental Services dedicated a new additional clinic and administrative facility targeted at serving special needs children. Dedicated to the late Dr. John Williams, long-time Children's Dental Services board member and friend who dedicated his life to serving the poor, this new location is in the bustling Northeast/University District at 728 East Hennepin Avenue in Minneapolis. Children's Dental Services is grateful to major funding from Delta Dental Foundation of Minnesota, which made this project possible. 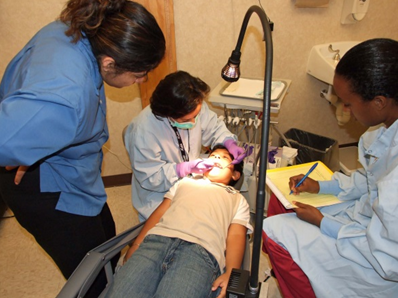 Four significant programs funded by HRSA enable Children's Dental Services to 1) expand new workforce models across Minnesota, 2) integrate dental care with school-based services in Minneapolis, 3) update critically needed portable dental equipment, and 4) provide dental care in 16 rural, underserved counties utilizing teledentistry. *Children's Dental Services expanded its long-standing partnership with the Early Childhood Dental Networks (ECDN) to include services with the Central, Southwest and West Central initiatives, through which it is now serving over 2,500 children annually including the African Women’s Alliance in St. Cloud, Western Community Action Head Start, Meeker, McLeod and Wright County Public Health Departments. *Children's Dental Services expanded its long-standing partnership with the Early Childhood Dental Networks (ECDN) to include services with the Central, Southwest and West Central initiatives. 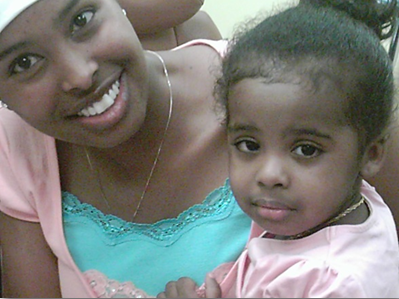 through which it is now serving over 2,500 children annually including the African Women’s Alliance in St. Cloud, Casa Guadalupe in Cold Spring, Western Community Action Head Start, Meeker, McLeod and Wright County Public Health Departments. 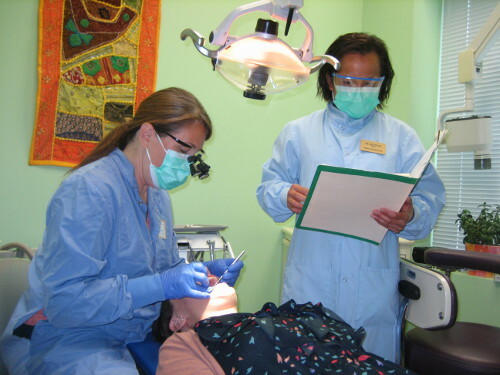 *Children's Dental Services began providing care in partnership with the Koochiching County Public Health Department. *Children's Dental Services piloted dental services targeting low-income students at Lincoln Elementary School in Fargo, ND. *Children's Dental Services received funding from Agstar Corporation to support a new dental services initiative targeting care for at-risk youth and pregnant women at community locations in Glencoe and Litchfield and at Heartland Head Start in Cosmo. *In partnership the North Memorial Family Medicine Children's Dental Services is piloting a medical and dental integration project to ensure better access to dental care for patients at prenatal and well child checkups. *In partnership with Minneapolis Public Schools’ (MPS) Early Childhood Education program Children's Dental Services is offering a pilot program to connect incoming MPS families with local resources.